The naked body of a woman is found floating in the weeds in a lake near Bath. No one is willing to identify her. There are no marks and there is no murder weapon – a real test of the sleuthing ability of Detective Superintendent Peter Diamond. 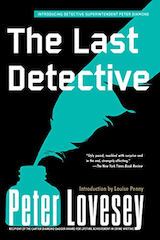 He is the last detective, not some lad out of police school with a degree in computer studies, but a genuine gumshoe whose heroes wore trilbies and raincoats and solved crimes by question and answer, doorstepping and deduction. Challenged by petty office politics, frustrated by obstructive tactics, Diamond strikes out on his own. 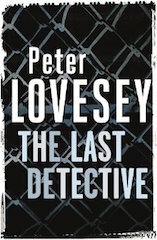 Despite disastrous personal consequences, the last detective exposes the uncomfortable truth.